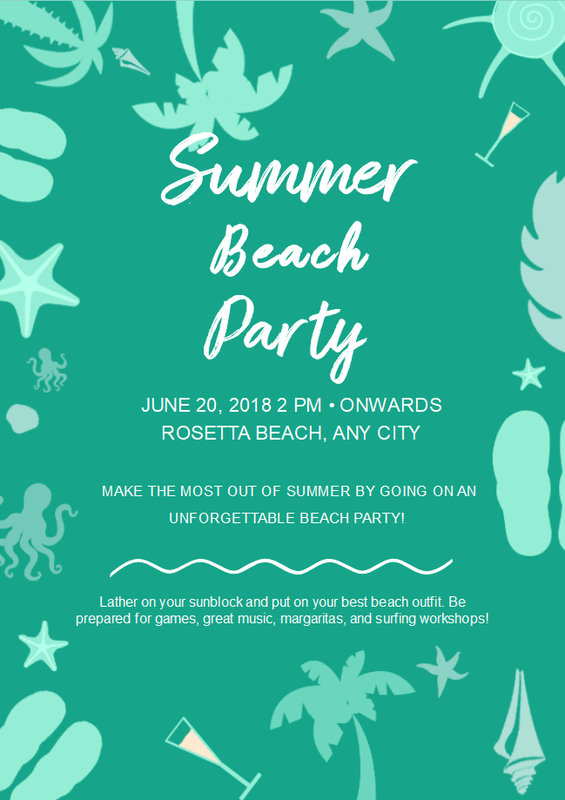 Description: Quickly announce your party proudly based on this summer beach party flyer template. It will surely be impossible for your fellows to miss out your biggest event. Try more flyer design fully editable templates and symbols in the free download now.